I guess we are going through our blue period. 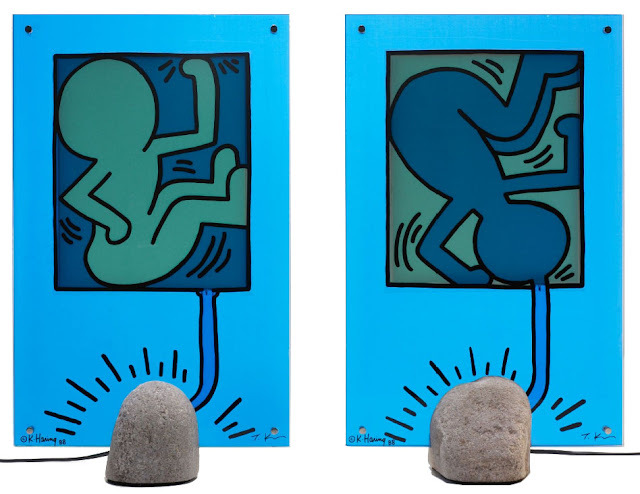 Toshiyuki Kita with Keith Haring as his co-auhor, designed the "On Taro" and "On Giro" lamps as a tribute to Keith Haring for Kreon Belgium in 1988. 2000 pieces were made and they have long since sold out.